Defeated Russia’s Vladimir Fedoseev in a tiebreaker. India’s Viswanathan Anand has won the World Rapid Chess Championship in Riyadh as he demolished Russia’s Vladimir Fedoseev in the final in a tiebreaker. The win was extra special as Anand dominated the tournament and stayed unbeaten throughout its course. The win was extra special for him after he defeated arch rival and World No.1 Magnus Carlsen in the ninth round to end the tournament with six wins and three draws after 15 rounds. Anand, who last won the title in 2003 after the former World No had lost his crown to Carlsen in 2013, reclaimed the title to end an otherwise disappointing year on a high. He silenced his critics in style as he retained the tournament on the back of world-class performances. Despite being placed joint second at the start of the final five rounds (11 to 15) on Thursday, Anand fought back strongly to bag the title on tie-break after a three-way tie with Russians Vladimir Fedoseev and Ian Nepomniachtchi at 10.5 points from a possible 15. Anand drew with Bu Xiangzhi of China while Carlsen suffered a shock defeat to Grischuk in the final round. Riding on this wave, Anand demolished Fedoseev in the final as he cruised past him 2-0. A strong showing by him saw him win in 34 moves, courtesy of a delectable endgame in which his queen and bishop controlled the long diagonal which proved too powerful for his opponent to counter. 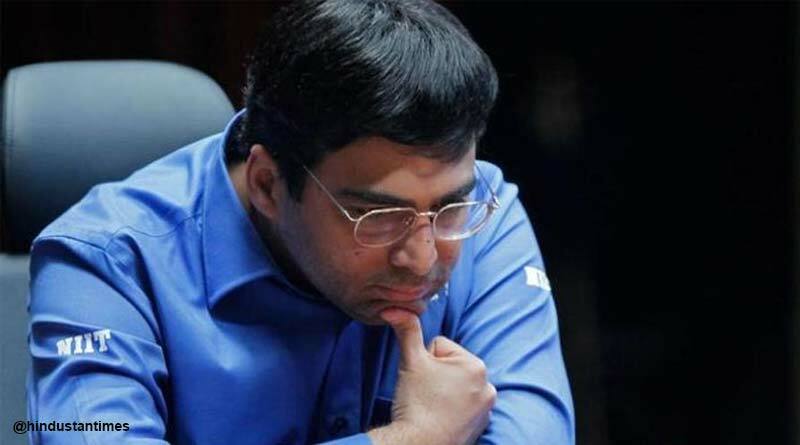 He was also congratulated by President Kovind on twitter who wrote: Congratulations Viswanathan Anand for winning the World Rapid Chess Championship. Such determined pursuit of excellence across decades makes you an inspiration for all of us. India is proud of you.